Intraoral radiographs of the highest quality. Intraoral X-Ray is the most common X-Ray diagnostic method in dentistry. Intraoral X-Rays are used for a variety of different tasks such as diagnosing caries, endodontic file location, inflammation of the teeth, or a general diagnosis. 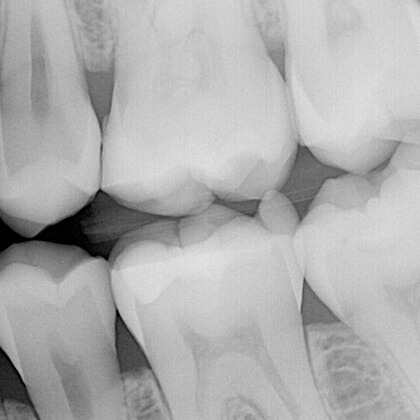 Your dentist may recommend a professional radiograph to you for a variety of situations. Intraoral X-Rays are quite common if there are suspected bone abnormalities, cysts, or infections that a regular radiograph cannot visualize. Should your dentist recommend an Intraoral X-Ray, it would be best to take the matter seriously as it is an advanced dental imaging device. Intraoral X-Ray is capable of showing your mouth in its entirety in one sitting. In essence, advanced dental imaging can simplify your experience as the manner in which it is conducted is “intraoral”, which means inside of your mouth. You just bite down on a plastic sensor holder for a few seconds while we’re taking an X-ray. Intraoral X-Ray is more versatile in visualizing your teeth problems, and is the greatest radiograph for examining cavities or surface-level issues with your teeth due to the full internal effect. Thus, it is common for patients to be recommended the intraoral dental radiograph because it detects anything abnormal going on inside of your mouth. In general, Intraoral X-Ray is a very efficient way to visualize the inside of your mouth. At LA Imaging, we understand the tremendous value of having advanced dental imaging for our patients. Local dentists recommend our services to their patients in Beverly Hills as well as in San Fernando Valley because our devices, staff and expertise are second to none in the county. We believe our Los Angeles Intraoral X-Ray service will provide your dentist with the best radiographs to determine your treatment. LA Imaging is the #1 recommended Dental Imaging Center for dentists to recommend their patients to. We understand that radiographs can be uncomfortable for some, and our staff is trained to make your experience as enjoyable as possible so you can have healthy teeth. If you are in need of advanced dental imaging, ask your dentist about LA Imaging, or you can schedule an appointment at either our Beverly Hills or Encino today! Intraoral imaging is the most common X-Ray diagnostic method in dentistry. Intraoral imaging is used for a variety of different tasks such as diagnosing caries, endodontic file location, inflammation of the teeth, etc.